A gorgeous picket fence, beautiful lacework balustrades, and a welcoming front porch sets the tone for this enchanting seaside home brimming with character and charm. Just 250 meters (approx.) from the water's edge, this is a rare find in a highly-sought after Thirroul pocket. This home is situated in one of the region's best pockets where sparkling ocean waters beckon from the end of the street. It has never been easier to go for a morning run on the beach or squeeze in a quick surf before work. This spectacular natural playground is yours to explore. Positioned on the eastern side of Thirroul, this home is also within walking distance to cycle tracks, pool, trendy cafes, reserves and all the services and amenities of the vibrant Thirroul CBD. The commute to Sydney is approximately 90 minutes away, whilst Wollongong is a short 20-minute drive. Alternatively, you can catch the train from Thirroul Train Station which is just around the corner. It's fabulous accessibility to all the hotspots make this cottage an idyllic weekender or convenient everyday home. 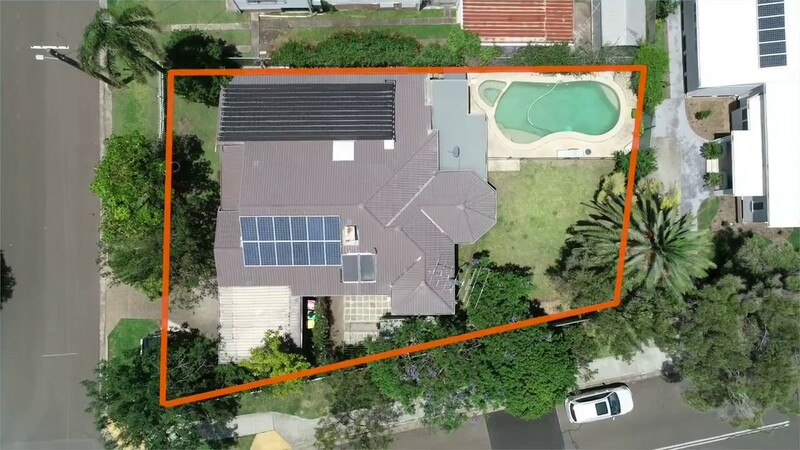 Perched on a corner block, this property has the opportunity for a dual occupancy site (subject to Wollongong City Council). This impeccable cottage instantly feels like home the moment you step inside. High ceilings, bay windows, dado rails, and original fireplaces enhance the cozy feel to this home where many family memories have been made. Boasting 4 large bedrooms, the master features a private ensuite and built-in robes, whilst the remaining bedrooms are serviced by a family sized bathroom. Multiple living areas including a sunken lounge and a formal dining room provide ample room for the whole family to spread out and relax. A gorgeous Tassie Oak kitchen overlooks the casual meals area. Bathed in natural light, the kitchen features plenty of bench and cupboard space and is equipped with quality appliances. On the eastern side of the home, you will be pleased to find alternate accommodation offering multiple opportunities - whether it be a home office, guest accommodation or a parent/teenage retreat. Outside, a covered deck overlooks the sparkling inground pool. The lush, green lawn provides room for the kids to run about and will easily accommodate the trampoline. Set amongst low-maintenance landscaped gardens, the home also features a carport that will accommodate 2 vehicles. Immaculately kept, this stunning cottage offers the ultimate beach lifestyle. You can spend your weekends doing as little or as much as you want! Head to the beach for a swim, try out the coffee at the local cafes, or stay home and lay by the pool and relax. This home offers the unique flexibility to move in today and enjoy as is, or you can add your own finishing touches to your liking. Spacious with a well thought out floor plan, this a warm and inviting cottage you will love coming home too.